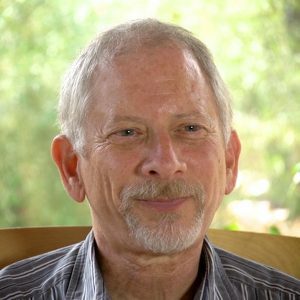 Henry Fersko-Weiss is president of the International End-of-Life Doula Association (INELDA). In 2003, he created the first End-of-Life Doula Program at a hospice in the US and has since created many other programs based on the model he adapted from birth doulas. Death doulas are a new kind of wellness practitioner that helps people achieve a better death. We explain in the “Dying Well’ trend the many things they do for the dying and their families. But what is the single most important thing they provide? Fersko-Weiss: Death has become hyper-medicalized, and the “human” has been removed from the process. Hospices, whose original spirit was to provide emotional comfort and support to the dying, have seen their scope narrowed to physical comfort and crisis management. We’ve lost the inner person in the dying process; we’ve lost the focus on emotional and spiritual comfort; we’ve lost the human and heartfelt approach. Death doulas do many things, from ensuring the quality of life during the dying process (including focusing on the patient’s environment, such as setting up their room, orchestrating the right music, scent, light, etc.) to giving families much needed time off. But the most critical thing they do—the richest vein they mine—is focusing on restoring a deeper, more nuanced meaning to the death experience and that person’s life. What’s been missing, because the professionals don’t have the time, is to help the dying take a profound look at the meaning of their life and their legacy. This is called the “meaning-directed life review.” It’s not simple reminiscence; it’s an intense process where the doula helps the dying person do a deep, structured review of—and come to peace with—his/her life. People enter the dying process unprepared, and most have unfinished business, outstanding relationship issues, things hanging over them, and regrets—as there’s positive and negative in all lives. Death doulas engage with people to work through these things. The psychologist Erik Erikson, renowned for his theory of the psychological development of human beings, found that the eighth and final stage of human life (ending at death) revolves around either integrity or despair. Death doulas use a disciplined, from-the-heart approach to help a person achieve that state of integrity, where you recognize your impact and wisdom learned. They create a deeply personal ritual around dying and return lost spirituality and meaning to death. We find that people open up to death doulas in ways they simply can’t with family and friends (so much emotion/baggage), social workers, clinical staff or chaplains. Doulas are trained to come from an absolutely objective, nonjudgmental place; they go where they need to go emotionally. Is the death doula movement growing? Fersko-Weiss: I see tremendous growth. For instance, at INELDA we’re witnessing an explosive uptick in people undertaking death doula training. In 2017, we trained about 400 people; in 2018, we trained 680; and in just the first months of 2019, we’ve seen another big growth over that. And if two years ago there were 6–8 training organizations, now there may be 20. You also see a rise in respect from important organizations. It’s notable that the National Hospice and Palliative Care Organization in Washington, D.C. (where 80 percent of US hospices are members) recently formed an End-of-Life Doula Council, which will drive awareness and usage. When we launched INELDA we thought the death doula concept would take off first in hospitals and hospices, but because of financial and structural forces that have impeded adoption there, today, we see the greatest growth and energy in the grassroots, private practice realm. Hospitals, hospices and assisted/senior living places could (and should) have integrated doula programs, but it seems that will take longer to happen. I do believe it will catch on there as well. Is this just a western ‘thing’? Fersko-Weiss: The concept is catching on in Western cultures where Western medical systems have squeezed all the human and spiritual out of the dying process. So, there is much activity in places like the US, UK, Denmark and Australia. But I also see real activity in China, where healthy death traditions and spirituality got abandoned and now people want models that reclaim that. At the GWS press event in NYC this January, you said you can’t have good death without a good life. What did you mean? Fersko-Weiss: People get so wrapped up in the day-to-day and wait until they’re dying to face the reality of their own impermanence. People that face death and impermanence live differently, better and more consciously; they realize that how they live matters; they make wiser choices about how they spend time and about how they relate to other people. Death doulas will tell you that they see so many regrets, and that people who haven’t lived well generally, do not die well. While death often comes with a physical struggle, living your life well and meaningfully is the path to dying easier and well. 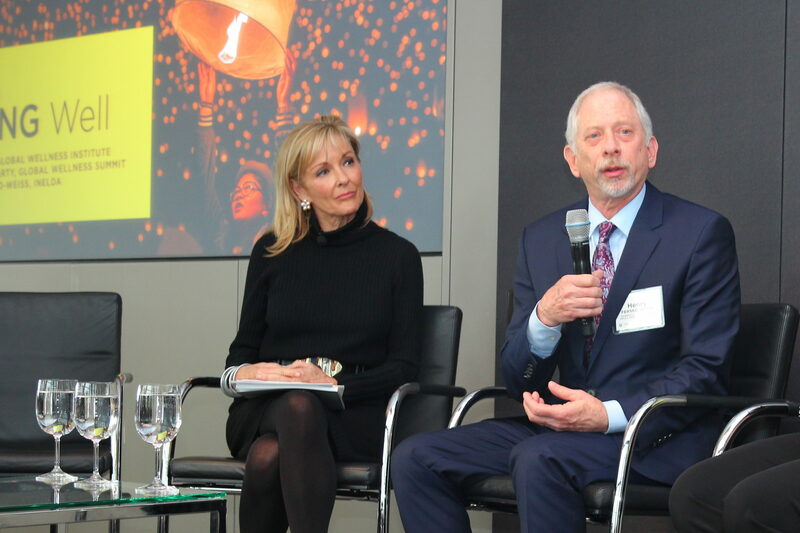 Henry Fersko-Weiss at the 2019 Global Wellness Institute Press Event discussing the “Dying Well” wellness trend.